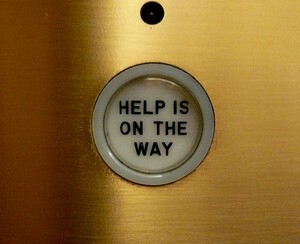 Lifehacker posted a fantastic guide on Getting Better Tech Support. It’s well worth a read. Here’s a brief overview of what they suggest, with a few of my own comments thrown in. As I mentioned a few days ago, browser’s caches can cause problems when the site is being updated. Unplugging your router and plugging it back in and rebooting your computer if it’s having problems often clear up problems with your internet access or your computer behaving strangely. This is important because it can be hard to remember what happened after the fact. Error messages may not make sense to you, but they can help a tech support person pinpoint the source of the problem. Sharing a screenshots is an easy way to convey a lot of information (after all, it’s worth 1,000 words) and it may even reveal a related detail that you didn’t think to mention. If you’re reading this site, I’m guessing you don’t need this reminder, but the person on the other end has feelings too. Even though technology can be frustrating, getting angry doesn’t help anything. We’re all in this together. Check out the comments on that post too, there are more good suggestions. The basic idea to figuring out any problem, technical or not, is to understand what’s going wrong as best you can, come up with a theory to fix it, test that theory and to eventually get to the root cause. And of course, you’ll learn a lot as you go.